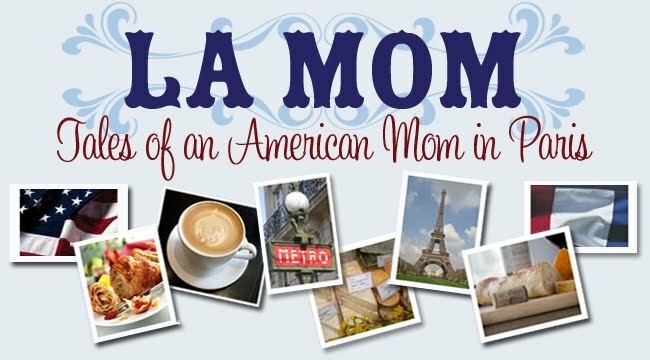 La Mom will digress from the subject of kids for une petite minute and focus on French politics. I read with great interest this morning the controversy over Jean-Louis Borloo's "Bonus-Malus" initiative. 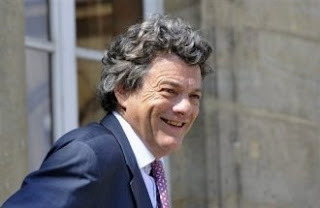 The Minister of the Environment is headed to the naughty corner this afternoon after his meeting (read: "fessé"/spanking) with daddy Sarkozy. It seems the super ministers at Rue de Grenelle are all over the place announcing new environmental taxes for things such as picnics and diaper pull-ups, in addition to the traditional automobile emission tax. If Borloo really wants to help the environment while pushing consumers to act in a more ecological way - that's great. But I think his priorities need to be reorganized. a "Crapus-Malus" or "Crap Tax" for dog owners. I'm so tired of dodging doggy crap bombs in the street every day. Dog owners need to pay a crap tax so Paris can hire more municipal workers to clean up the mess, because 99% of the people I see walking their dogs on the street are not picking up their dog's droppings. They are left on the sidewalk for everyone to step in. I've stepped in crap so many times I've lost count. I'm constantly nagging my French Fries to watch where they walk. Last week, after it rained, I discovered dog crap had sprayed all over my jeans from running home with my stroller. a "Tabaccus-Malus" tax for smokers. The tobacco tax gets raised frequently, but I'd do it again just to punish the annoying smokers who can no longer smoke inside restaurants and cafés and who have moved to the terrace to smoke. OK, technically the terrace is outside, but it's part of the café so in my book there should be no smoking even on the café terrace. I spent the whole summer breathing in second-hand smoke in cafés terraces. a "Capillaceous-Malus" tax just for Jean-Louis Borloo and his wife, Beatrice Schonberg. What's with their hair? His looks like he uses a can of hair spray every morning to get the curls to stick up the way they do. And I've seen Beatrice often enough at my posh hair salon to know that she's not exactly skimping on the hairspray either. They must use enough aerosol hairspray between the two of them to more than contribute to our petite environmental problems. The bright point of the evening was getting picked up on by two men as we walked down the Rue de Seine in the 6th. Good clothes camouflage bad things and these men were clueless. Why are the French so deathly afraid of catching a cold? What is so evil about a "courant d'air" that makes them bundle up their babies in snowsuits in the middle of September? Yesterday, as I was doing a bit of window licking (lèche vitrine) on the Rue de Passy, I spied no less than 5 babies in snowsuits being pushed down the street IN THE HOT SUN. Mornings are a bit chillier lately, but yesterday was absolutely gorgeous and hot. I think the French believe that once the calendar turns from August to September, even if the weather is still summery, it's time to pull out the wool and snowsuits just because it's not July or August anymore. To that end, I went to pickup a sweater at my dry-cleaners with Small Fry sleeping in her stroller. As I was paying, the dry-cleaner came out from behind her register to pull out Small Fry's jacket from the stroller bag and cover her with it because, as she put it, "Elle doit avoir froid aujourd'hui " (translation: She must be cold today). Of course, none of this was done quitely or gently and Small Fry was awakened from her nap. All because the dry-cleaner thought she must be cold on a hot day in September. Oh la la!